Over the Air would not be possible without the generous support of the companies and organisations who get what we do – and more importantly, what the community of participants does. It’s an important feature of Over the Air that it is FREE for all to attend – no conference budget or deep pockets required. And that’s only possible with the support of the fantastic organisations below. 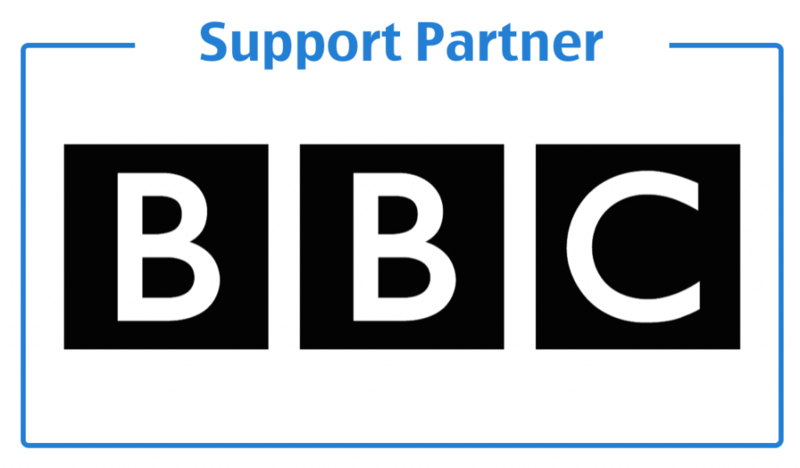 We were thrilled to receive the support of the BBC at OTA15, with teams from BBC Digital, Make It Digital, BBC micro:bit, BBC Connected Studio & BBC Taster. Read more about the teams from the BBC who joined us. Azure is Microsoft’s cloud computing platform, a growing collection of integrated services – analytics, computing, database, mobile, networking, storage and web – enabling developers, IT and data professionals to move faster, achieve more, save money and innovate. Microsoft Azure is easy-to-use, pay-as-you-go, and scales as you need with cross-platform support. Windows 10 is enterprise-ready, Maker-friendly, powering a broad range of devices with over 20 years of history in the embedded device space. Follow them @msdevuk. 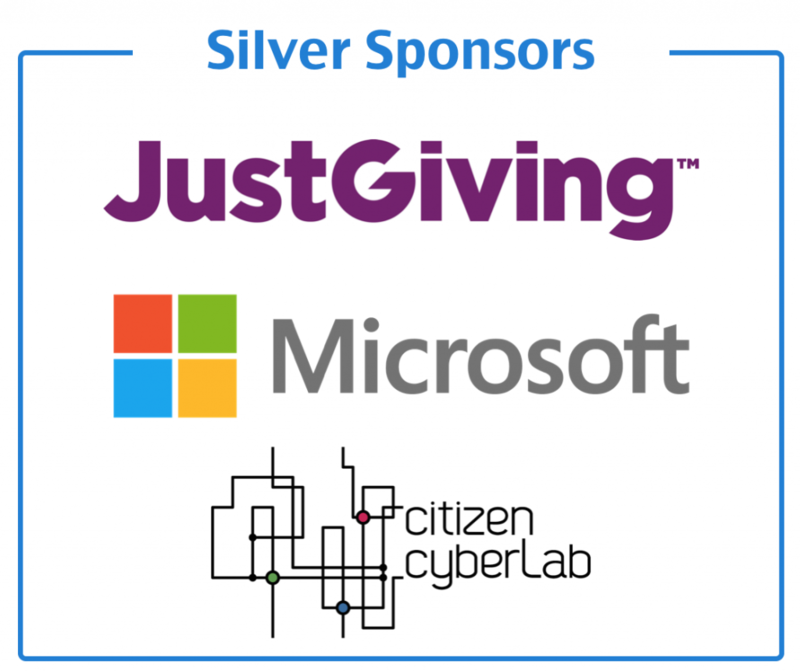 Powering the #apps4good movement, the JustGiving platform helps not-for-profit organisations, brands and a growing community of developers to build applications that harness the power of online giving. Apps like these drive thousands of transactions on JustGiving every day, helping people around the world to make good things happen. Follow them on Twitter at @jghackers. The Citizen Cyberlab is a consortium of several Universities (UCL, Imperial, University of Geneva & University Paris Descartes) + CERN + UNITAR + The Mobile Collective. Together we are building digital tools and platforms for Citizen Science. Follow them on Twitter at @citizencyberlab. Google’s mission is to organize the world’s information and make it universally accessible and useful. Our company has packed a lot into a relatively young life. Since Google was founded in 1998, we’ve grown to serve millions of people around the world. Find out more about our products for developers at https://developers.google.com/products/. MediaTek Labs is the developer hub for wearable and IoT Innovation, providing the platforms, tools, documentation, technical and business support to create your own devices powered by MediaTek chipsets. From smart light bulbs to the next-generation fitness tracker and the exciting world of the smart watch, make your journey with our help. Braintree’s global platform powers payments for thousands of online and mobile commerce innovators including Airbnb, Uber and GitHub. Merchants in more than 45 countries across North America, Europe, Asia and Australia can accept payments in more than 130 currencies. Braintree’s v.zero SDK, featuring One Touch™, powers single-click purchasing with PayPal, Apple Pay, credit/debit cards, and Bitcoin. To learn more, visit Braintree at www.braintreepayments.com and on Twitter @braintree. Founded by 5 maverick developers, SAP is a market leader in enterprise application software. The company offers open platforms and technologies for you to build, deploy and manage enterprise applications. To get started and to learn more, visit developers.sap.com. Follow the team at @SAPdevs. Every year, we open up the Over the Air workshop programme to the community, inviting you to become a central part of the Workshop Programme, with a wide range of talks introducing new technologies, platforms, APIs, SDKs, use cases, and much more. A very big thank-you goes to the many people who contributed to the OTA15 programme! We have heard lots of brilliant feedback about just how informative, helpful and inspirational your talks were. Full session details can be found on Lanyrd – http://lanyrd.com/2015/ota15/schedule/ – and we’ve invited all speakers to share their slides, videos, and other materials as “coverage”. 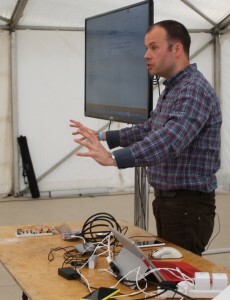 Many of the hacks presented at the Show & Tell on Saturday made use of technology or ideas that you presented. 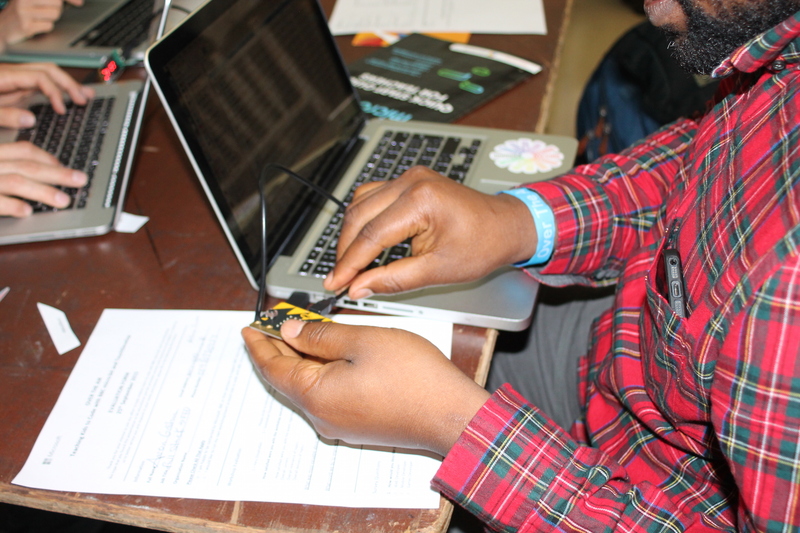 And of course we were particularly thrilled to host the first Coder Dojo session for kids for the BBC Micro:bit (see https://twitter.com/CoderDojoLondon/status/647723541241196544). The Marquees are up, the Bean Bags are fluffed and spread around the building, lots of lovely mysterious packages have arrived, and we’re raring to go! The gates of St. John’s Hoxton will be open for registration at 9:00, with coffee and tea on offer in the main building until the whole thing kicks off at 10:00. You don’t need a physical ticket, we have your names at the door. The Venue is a short walk from Old Street Tube Station, and you’ll need to head up to the western side of the grounds for the main gate. If you’re driving, there is parking in the neighbourhood and a number of paid parking spaces close by. Here’s a handy overview of the options. There is wheelchair access throughout the entire venue. Bring your own devices and chargers, we’ll provide you with all of the WiFi details on arrival and there will be power throughout the whole venue. Bring a tent and/or sleeping bag if you’re staying with us overnight. There is plenty of space to camp on the grounds and lots of quiet corners inside the main building to roll out a sleeping bag. We also have showers and extra washrooms out on the grounds. Bring your business cards to keep in touch with all of the great new people that you’ll meet, and to leave with the workshop session speakers you would like to follow up with you afterwards. Bring emergency rations – we’ve done our best to make sure you’ll be well fed, watered and caffeinated throughout the whole event, but haven’t been able to cater to all of the dietary considerations that we would have liked to. If you have special requirements, we recommend that you bring a few things of your own just in case. As always, it’s an action-packed programme with lots to choose from. Take a browse through theschedule on Lanyrd and “track” the talks you’re interested in for a handy personalised mini-programme that will show in “your sessions”. If you need a bit of inspiration about what you might want to work on during the Hack Day, the list of Challenges, Categories and Prizes are now all posted, and there is some very cool stuff to be won! We’re looking forward to seeing your hacks and ideas at the Show & Tell on Saturday afternoon. We’ll be posting an online form tomorrow where you can submit your hacks, and indicate which categories they fit in. There is lots of buzz already happening on Twitter with the #ota15 tag for this year’s event, but we also have a dedicated Slackline set up as well – making it easy to find each other and collaborate throughout the two days. If you have any questions or trouble joining the shared channel, you can contact the Slackline team at contact@slackline.io or via the in-app chat athttps://slackline.io – You will also be able to find them hacking at Over The Air! And last but not least a huge thank-you goes to our Support Partner and Sponsors for making OTA15 possible – we can’t do it without them! We have asked a number of our Supporters and Sponsors about why they get involved in Hack Days, price their views on innovation, buy | and what they are excited about in the technology industry. 1. Why do you get involved in Hack Days? 2. Does involvement in Hack Days have an impact on the further development of your products and services? 3. What are your own internal approaches to Innovation? 4. What role can mobile developers play in both the future of the mobile industry, and emerging industries such as IoT and wearables? 5. Do you have a view on where the next big opportunities will lie for developers? 6. Tell us about some of your own new products and / or services that you are excited about. 7. 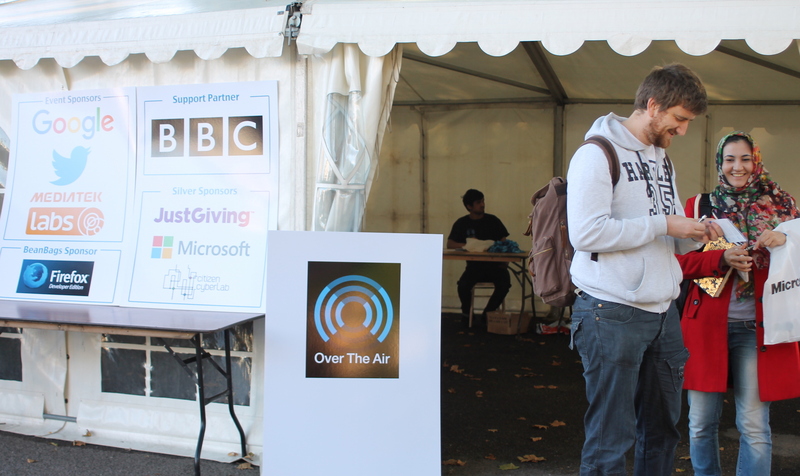 How would you like to invite the attendees of Over the Air to get involved with your organisation? Connections away at OTA – IoT developer t-shirts, HDKs and more. Phil, malady Marysia and I from MediaTek Labs can’t wait for Over the Air at the end of this week – it’s our first time at the show and we are looking forward to meeting you all. MediaTek Labs is a free online community of IoT developers and device makers found at labs.mediatek.com. 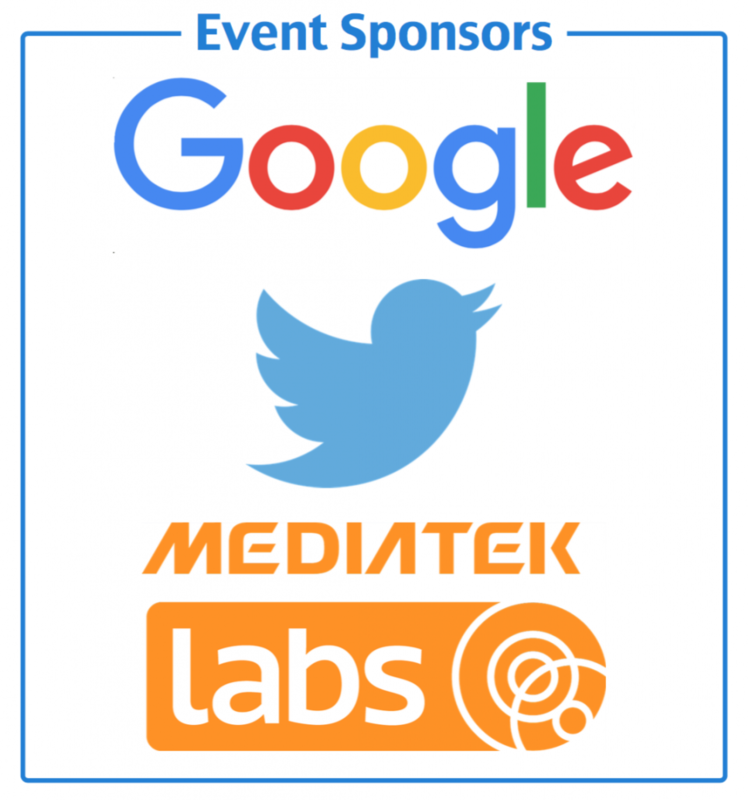 MediaTek Labs is the home of MediaTek LinkIt™, price some of the world’s best connected platforms for Wearable and IoT devices. With our development tools you can create devices that can connect to other devices or directly to cloud applications and services. 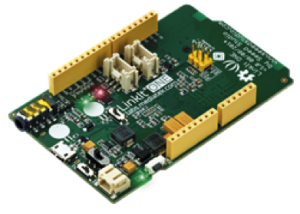 The LinkIt platforms consist of Software Development Kits (SDKs), Hardware Development Kits (HDKs) and related technical documentation. 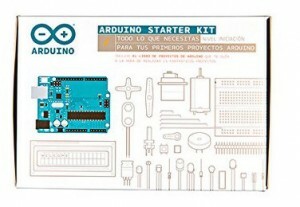 We have a session on Friday afternoon at 5pm – Build your own IoT and Wearable device with a development board from MediaTek Labs – where you can learn all about MediaTek LinkIt™ ONE, the development platform that enables developers to create Wearables and IoT proofs-of-concept with the simplicity of the Arduino IDE and Seeed Studio Grove peripherals. At the end of the session we will have some LinkIt ONE boards for you to borrow for the 2 days so get hacking and enter the Best Hardware IoT hack – there are 5 LinkIt ONE boards for the winning team. You could then enter what you have achieved at Over the Air in the hackster.io challenge to win even bigger prizes including iPads and TVs – https://www.hackster.io/challenges/smart-devices-for-smart-cities. 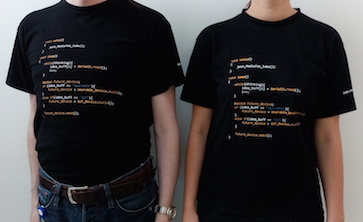 To get a free t-shirt, follow @MediaTek Labs on Twitter, sign up for free as a member on labs.mediatek.com, and then find either Michael, Phil or Marysia at the show to claim and wear with pride! Michael Francis, Developer Marketing Manager, MediaTek Labs. We had the honour of speaking with a number of women with technology-related careers at the BBC about their career paths, and what they are excited about in their current roles. Lesley Mearns is a Programmes Business Analyst at the BBC, which is a Business role; Lia Vipulananthan is an Operations Shift Leader in the 24×7 Team and has 14 years experience supporting all the BBC digital content; and Rosie Campbell is a Technologist in the the R&D North Lab & North UX Research Group. Rosie is working on the intersection of TV and games – with iPlayer, broadcasting can become interactive – what new kinds of experiences can we create that mix BBC storytelling with real-time rendering? She also recently worked on Smart Wallpaper, where she made an immersive ‘hide and seek’ game and accompanying android app. CBeebies characters hide on the walls, and children use their phone’s camera to ‘detect’ (seek) them. Interview with Carrie Hall, Software Engineer in the TV & Mobile Platforms – Radio & Music Group. I’m Carrie Hall. I’m 27, I’ve been at the BBC for two and a half years and I work as a software engineer on the iPlayer Radio mobile application for Android and iOS. How did you first get interested in a career in technology? I played a lot of computer games when I was younger, and my older brother was into technology so we had a desktop computer and a few consoles which I used to use. I made my first website when I was about 14, in HTML, and attempted to make a few flash games. However at school I preferred other subjects such as English, but still did Computing as an A level and it was when it came time to choose my degree that I decided to follow a career in technology, as there was a lot of interest at the time in websites and web applications, which is where I saw myself working. What was your career path to this role, and did you have role models & mentors along the way? I studied IT at GSCE, then Computing at A Level. My degree was Internet Computing at the University of Manchester, which at the time was mostly Computer Science but with some extra modules in web technologies. I spent one year in industry between my second and final year, where I was working as a software engineer. At this point I was mostly a Java and web developer, then I learned Android to complete my third year project and really enjoyed it. After Uni I took some time out to travel then worked as an Android engineer for a year before getting my current role at the BBC. My biggest role model is probably my older brother, he’s always been excited by learning new things, whether that’s technology or otherwise, and it’s very infectious. He’s always pushed me in my career and encouraged me when I’ve been unsure about my own skills. What do you find exciting about your current role, and how do you strike your own work / life balance? At the BBC there is a real focus around building apps that people love, rather than churning out apps to make money. I love working on the same product and seeing it constantly improve as we add new features. We also have the benefit of being able to reach a massive amount of users which really pushes you to make sure that what you’re doing is right and is going to work across all devices, which on Android can be challenging at times. At the moment, striking a work/life balance is fairly easy as I don’t have to take my work home with me, however as a software engineer I do work on my own projects at home to refresh my skills and learn new technologies. I was the person in our household who took apart the broken VHS recorder and put it back together having four extra screws left over. My father was a Chemistry and Biology teacher, my mother a nurse so our household was always more science than arts based. A chance encounter with a BBC Micro brought home for the summer holidays by my father from his school prompted a lifelong obsession with fixing broken things and finding ways to make things run smoother. Material Engineering at Uni to a computer sales job to a Helpdesk role to Operations with a good helping of fixing other peoples broken computers. My role model was Sarah, my first boss here at the BBC who hugged me my first day and said thank you, there’s now another woman on the team. She encouraged me to look for roles outside of my team, mentored and counselled me on how to further my career and explained the mistakes she had made in order that I could learn from them. Also my father encouraged me to do the best that I could and to takes risks and above all keep learning. In my current role I have a chance to be proactive and fix things before they break rather than the opposite and be reactively fixing issues. BBC Digital has over 800 products and talking to the programmers and architects always makes me reason how wonderfully creative the teams are. My concession to a work / life balance is that I do not take my mobile to the bedroom and spend times doing hobbies that do not require a power outlet such as crocheting and cycling, reading and diving. If I am anywhere near a computer or phone, I end up checking work email and answering them and retrying to resolve issues when I should be switched off from work. What changes would you make to your current job to enable a better work/life balance? Did you encounter problems returning to work following having children/maternity leave in terms of work/life balance, childcare, flexibility. I cannot answer for myself but I do know people when I first started at the BBC who encountered issues, however now the managers and departments are much more flexible. I believe the ubiquitousness of broadband is the main reason, when I started they were still putting in ISDN lines for the work from home staff. Now there are not enough seats in the building for all the staff with the assumption of many people will work to work from home. Also the BBC have made it much easier to use your own equipment to work with use of certificates for whitelist access and use of mobile messaging apps such as Good to receive work emails. Were you happy returning to the same role or would you have preferred to have returned to something less demanding on your brain/body/time (I hope that doesn’t appear patronising – I ask because a number of female developers I’ve spoken to have told me that they would prefer something simpler/less technical and/or more creative following maternity leave). I cannot answer for myself, two of the ladies I have worked with who went on maternity leave, came back to less demanding roles and were quite frankly over qualified for the roles they settled into. However both needed the freedom to not have to worry about work and not have too much of a demand on their time and brain. The other lady went on to manage large project and do very well for herself. It is a balance and I think your partners support matters the most. For the two ladies who downgraded their jobs, they were not supported in childcare or household chores from their partner so had to take on the full responsibility on top of a normal workload (both husbands expected their dinner on the table when they got in despites the ladies working a full day’s work and taking the children to and from nursery / school). For the lady who did not let having children make a difference to her role, her husband was both very supportive and understanding of his wife’s job and the fact that he needed to step in and should his share of the chores. Did you feel worried about returning to work due to the speed technology evolves and your skills being out of date? I cannot answer for myself but I know a lot of the ladies used to feel this way. Staying in regular touch with your manager and colleagues, coming in to show off the new offspring keeps you in touch with your team and they never need an excuse to keep you updated with what is happening and allowed you to assess what is going on. How long did you take off after having children before returning to work, was that influenced by work and would you have preferred it to be longer/shorter? I cannot answer for myself but most ladies I have worked with wanted to come back later (longer than a year) but felt pressured to come back to keep their job. What’s the hardest problem you ever solved in this role? People. One was a shift partner that was utterly useless and did no work. A second was someone I could see within a month had the ability but no work ethic. In both cases, I was too scared to put a formal complaint into my boss. In the end, both people were sacked from the team on the basis of other peoples complaints (from outside the team). What’s a mistake you made in this role, and how did you overcome it? Not being more forceful and standing up for myself specifically letting someone else take credit for my ideas and being too timid to demand recognition from the department. Is there scope within their role to initiate projects? Are they creatively fulfilled at the BBC? Yes and yes but its knowing the right people. If you network and talk to people and ask them what you are working on, you find out about all these amazing things we do at the BBC. But it is not communicated out very well. There are initiatives to promote this within teams such as 10% time. Do you feel you are recognised for what you do on an equal footing? Can your voice be heard? Yes and yes but you have to be forceful and project your voice in the room full of men and large personalities. You have to be concise and knowledgeable and above all be practiced in asking for the recognition. What do you think is the number one top most important skill for your role, and what are the things that you do to keep learning it and getting better at it? Ourselves. My physics teach told me I would fail Physics because girls generally do. I believed him rather than myself. Spend time talking to other women about their experiences and you will see a common thread in all their stories.